I was born in Sosnowiec 1976, Poland. My artistic career has begun at the National School of Fine Arts in Katowice 1991-1996 (Poland) where I obtained qualifications in Sculpture (the title of Visual Artist). I studied painting, drawing, sculpture, lettering and calligraphy, designing, history of art and history of philosophy among other art related subjects. In years 1996-2002 I studied linguistics at Silesian University, English Philology Department (MA). In my artistic career my primary choice are oil paintings which are born when my mind crosses the thin line between consciousness and subconsciousness. Artistic work needs the exploration and combination of the past and present by means of new forms of expression based on inner spiritual values. Last years I have concentrated on the subject of a woman. A woman, which for me, is a combination of extreme emotions; ethereal beauty but at the same time strong values. It is the subject which may serve a lifelong inspiration and as the art history shows it has always been a big challenge to artists. Art has always been a part of my life. I specialize in oil paintings, in different themes: acts, portraits, nature, landscapes and abstract paintings that are always inspired from natural motifs. My latest paintings represent mostly women, accompanied by some elements of nature such as flowers, birds and butterflies. There are also present some religious elements in forms of angels. Angels which show, with their childlike faces, the whole variety of human moods. My works are born when my mind crosses the fine line between consciousness and sub-consciousness and many ideas oryginate from my dreams. 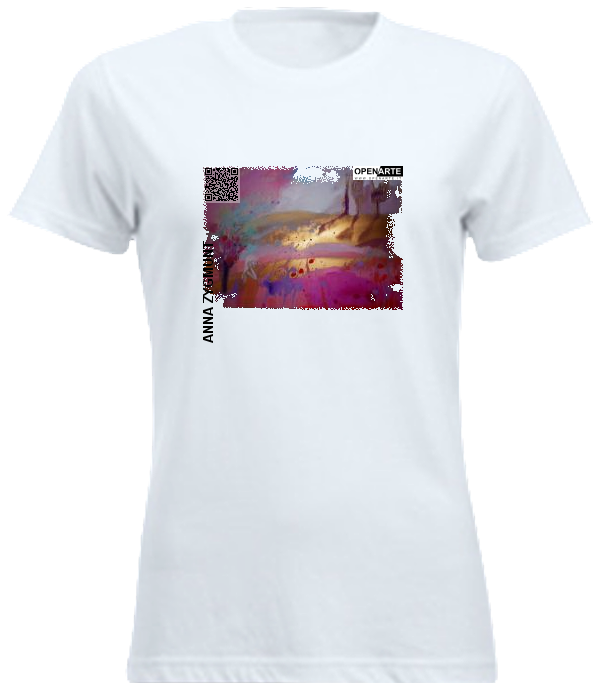 The artwork needs experimentation and fusion of past and present, using new forms of expression based on inner spiritual values and very subtle choices. My technique of painting is based, over the years, mainly on trying out new techniques, taking elements from the past and mixing them with modern techniques. Clashing the classic oil painting school with ‘rough abstract elements’ this way making my own intriguing compositions. - 10 January 2012 Art Gallery G44 Katowice. 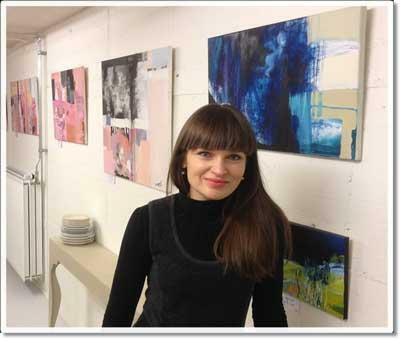 The Gallery G 44 ushered in the beginning of the year 2012 with the exhibition of young Polish painter Anna Zygmunt. The inauguration, which took place at the presence of the authorities and accredited press took place on 10 January.The painter has presented to the wide audience come, his artworks, with particular reference to the circumstances from which took the form his subjects and her artistic ideas and that are concretized with the creation of his artworks. "I find these paintings really delicious. 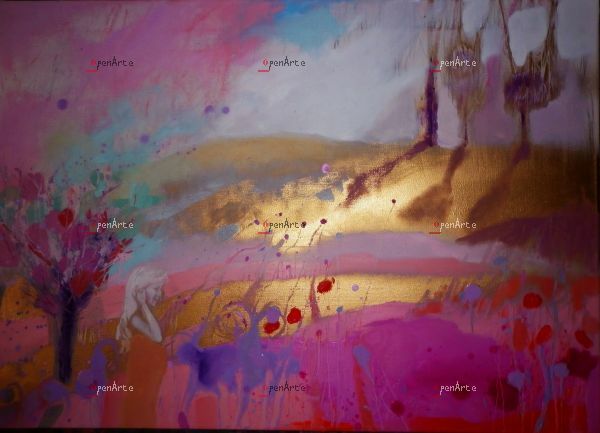 With a special technique that tends to soften but not to veil the vivacity and intensity of colors and shapes, the artist offers us images of women, flowers and landscapes with unusual charm and original invoice so much in the rarefied smooth shapes as in the color choices of undeniable emotional and visual impact. Affects This Kaleidoscopic world suspended of imagination, dream and reality in which is easy to get lost and find yourself in a rewarding blend of feminine energy and startling nature transfigured into the author's original vision. Description : Oil painting on canvas depicting a delicate image of a woman waiting for her son. The scene is depicted in a fantastic and surreal landscape of enchanting beauty with dominant colors: gold, purple, red, pink, light blue and white. the painting is made using a canvas support of first choice.
" A Woman in Red"